Preponderance of Freelancing or Unscheduled Opportunities | Want to Be a Freelancer? Join People Doing the Job They Like! Can you assume freelancing to be a permanent job? Can you think over its advantages and opportunities? In fact, they are so vivid that it is possible to deem freelancing worthy of consideration and trying. Preponderance of freelancing would not be so obvious if there was no full time job which highlights the possibilities and unrestricted potential of freelance activities. Undoubtedly, freelancing is in pluses which can be hardly seen while working for someone at the office: they are flexibility of schedule and variety of activities. Freelancing as unbound employment does not foresee any work schedules and obligations to work for a certain amount of hours a day or a week. Consequently, it is up to the freelancer whether to choose hard working hours or to spend the whole day in relaxation and peace. Such flexible timetable means that freelancing provides the worker with additional free time which can be spent for personal or family matters. Moreover, it is much easier to work when you know that you can have rest after you finish certain task. 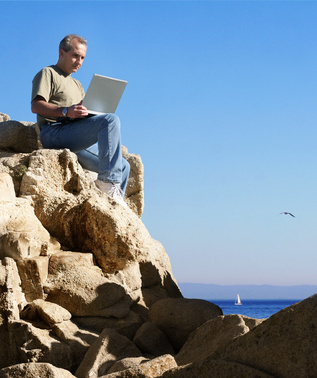 Thus freelancers can work and rest in turn, changing types of activities. For instance, any person who is not on a full-time job can work, learn, relax, and fulfill some home duties in turn. As a result, any freelancer has possibility to arrange time individually up to his or her abilities and needs. Freelancer’s individual time organization, or even time management, is one more advantage resulting from flexibility of working time which is impossible in full-time jobs. It is much more effective to work pursuant to the individual schedule rather than upon the time requirements defined by the employer. Effectiveness of individual time organization consists in possibility to combine various activities and to deal with them in turn. In addition, named possibility allows freelancers earning more money provided their time is properly managed. Thus flexible schedule in freelancing is not the only pros since it results in many other pluses and a host of positive moments of work. What makes freelancing much more acceptable than full-time employment is the opportunity of having various activities at once at or at a certain period of time. It is a proved fact that variety of activities in job allows keeping interest in all of them. Dealing with different tasks in turn, like in freelancing, attracts workers more than unvaried and repeated types of work which are usually set while working for someone. When you are not employed as a full-time worker you can enjoy variety of activities and assignments. Since similar tasks and duties of the full-time job are interesting only at the beginning, it is dull and boring to perform them for life. Definitely, repeated tasks may also occur in freelancing, but freelancers can always reject them and look for other types of work which are not typical. Moreover, variety of activities means variety of interests and opportunities to develop in various directions. Unlike types of activities make freelancers work harder to learn new issues and subjects, however, at the same time, they enrich their knowledge and broaden outlook which is of great significance for contemporary people. Thus freelancers never stop in their development, they are always eager to learn something new and experience latest challenges. To sum up, freelancing has not only its obvious preponderances, but also a host of opportunities which are neither unscheduled nor set within monotone and repeated frames. No restrictions make freelancing surpass full-time jobs and provide each worker with the flexible schedule and a range of varied tasks which result in broadening of views and new experience.